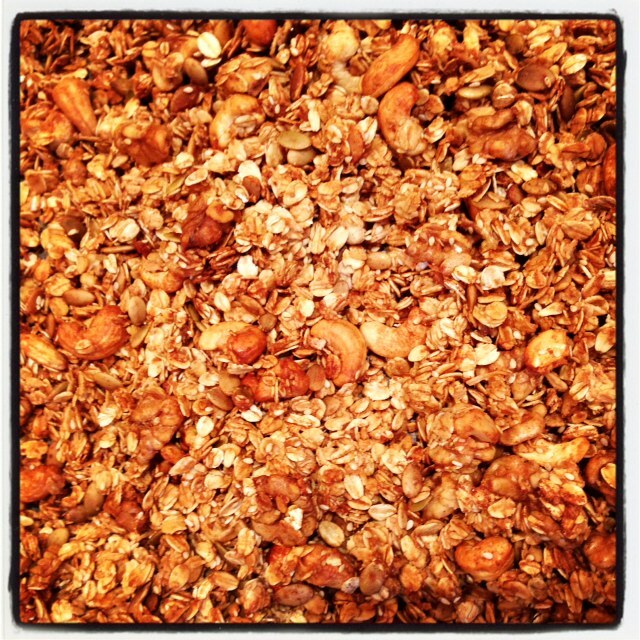 In a large bowl combine the dry ingredients; oats, nuts, seeds, brown sugar, cinnamon, ground ginger and salt. 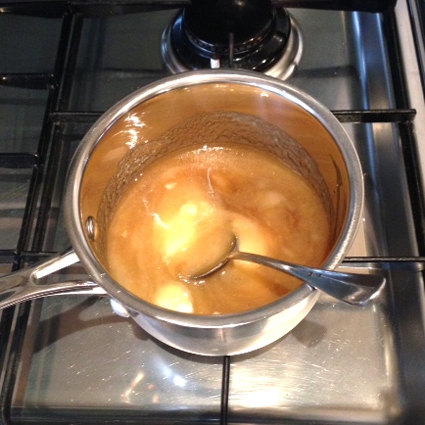 In a small saucepan combine the apple sauce, maple syrup, honey and oil. Warm for about 5 minutes so it’s all mixed well. Now pour the apple sauce mixture over the dry ingredients. Mix well. 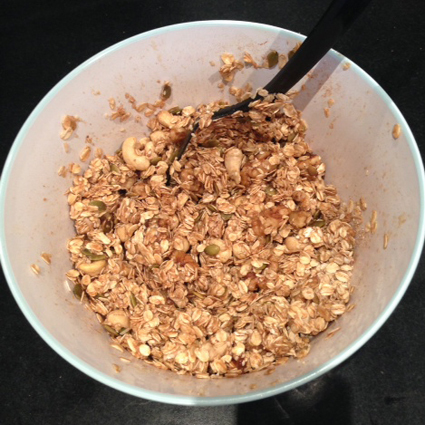 I use two big spoons and toss gently (like a salad) so the wet mixture and dry ingredients are well combined. 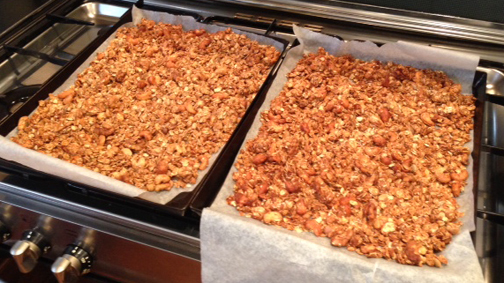 Divide the mixture between two baking sheets (lined with baking paper). Bake for 45 minutes, stirring every 15 minutes until golden brown (I use a big spatula and shift the outside toasted bits in and the un-toasted middle bits out until it’s even in colour and lightly toasted). Your kitchen will smell amazing! Remove from oven and cool completely. Store in an airtight container. It will keep for 1 month in an airtight container (but I dare you not to eat it all before then). PS. You may interchange ingredients to suit your taste, for the recipe photographed above I didn’t have raw almonds so I used raw cashews instead. I also didn’t have sunflower seeds so I used double the pumpkin seeds. It’s just as delicious! Yum! Fresh strawberries work beautifully too – or stewed apples. Enjoy! I’ll try the recipes with both strawberries as well as stewed apples..
Another thing on my to do list for next week!